John Ager offers a variety of gambling systems. He’s actually been around for some time, but I was only asked to review him when he surfaced on the roulette forum. John caters for every budget and interest, and offers numerous “special offers” which is typical of gambling system sellers. I have been contacted by several of his purchasers, and have been sent scanned copies of some of his systems. 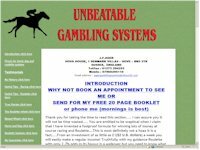 While I do not have every one of his systems, once you see just a few of them, you clearly see John is an inexperience gambler, a promoter and dishonest system seller offering a broad range of systems that unfortunately have no merit. He caters for every type of unsuspecting gambler. On his web site and in forum posts, John makes some statements that are true, and he sounds like a professional you’d want to deal with. But he makes other statements that are utterly false, which makes it clear he actually has a very poor knowledge of roulette and gambling. Even if I didn’t now have some of his systems, there are many red flags with his claims. 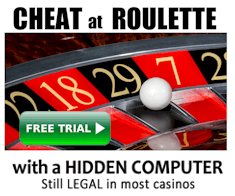 For example, John claims to have winning systems for electronic spins, and that the system is “infallible” at online casinos if used correctly. But you simply cannot beat random number generator spins because there are no variables to calculate and predict. Also, John claims to have winning even money bet systems. 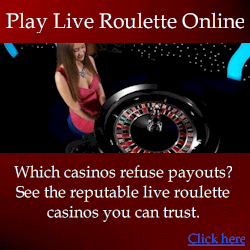 It is impossible as anyone that understands the mathematics of the roulette table would tell you. The website roulettephysics.com gives a lot of detail about what does and doesn’t work, and why. VERDICT: His system’s that I’ve seen simply don’t work. John Ager is a system seller, not a professional with viable methods.